I feel your eyes as I pull into the spot. I’m just ignorant and selfish, doing what I like as I’m in a hurry. I’m there because I have a kid so I think it’s my right. I’m smiling as I stand up. I walk to get my bags, my child and off we go. Ignorant. Selfish. Lazy. You tut in disgust. When I have my crutches or stick, you wonder, but there’s no clue. It can’t be all that bad. Must be my ankle or something. You might see me the next time, no crutches. I can’t be all that bad if I’m out without them. I’m playing the game, the system. I’m one of those. What you don’t see is that I’d love to be invisible. That I don’t want people looking at me. Wondering what’s wrong. You don’t see the pain that I’m smiling through. When it’s been 4 years, you get pretty good at it. My 4 year old son wants to take care of me. Feels he needs to take care of me. I hide as much as I can as I don’t want that for him. You don’t see the difference in my walk. Look harder and you’ll notice the waddle. You don’t realise that I walk so slow because of me, not my son. You don’t see me clenching my teeth and holding my breath as I queue at customer services to ask if I may borrow the scooter. You don’t see the embarrassment and the shame as all the store alarms go off, every time, as I pass through the detectors with the scooter key. You don’t see the customers, almost twice my age, looking at me with pity. The younger ones don’t see me. The mothers smile at my son who sits gleefully on my knee. You don’t see me deciding not to buy something as its too high or two heavy and there’s no one there to help. You don’t see my neck with its dried out discs, bulges and osteophytes, shoulders, sternum and clavicle, full of arthritis. Wrists with arthritis and ganglion, fingers that ache. You don’t see my back with synovial cysts, degeneration and bulging discs, nerve pain radiating down my thighs. My pelvis and hips, arthritis and damage from pregnancy. You don’t see my swollen and burning knees or the soles of my feet that ache. You don’t see that I choose. I choose which pain is the worst. Can I lessen the pain in my back and legs by using my crutches today? Can my back take it if I give my shoulders, neck and wrists a break from the crutches and waddle, slowly, on soft feet, side to side, gently. You don’t see that my stick turns into a seat. How nifty! You don’t see that I need it because I can’t stand still for more than 30 seconds. That’s why I lean, almost double over, on the checkout whilst I pay, or dance and rock, side to side as I wait for my receipt. You don’t see that I fight. From the moment I wake up. You don’t see that I take all the meds. I mean ALL the meds. Almost 30 pills a day. It used to be more but I can’t be a zombie that doesn’t leave the house. I had that for a year. You don’t see that I don’t want this. That I want my life back. You don’t see that I worked so hard from being a teenager. That I travelled the world and fell in love with sports and activities that are hardly a memory anymore. You don’t see that I’m trying to get better. That I ask what more can I do? What more can my Drs do? What other specialities can I see? You don’t see that sometimes I’d rather take the pain than the drug side effects. You don’t see that I waited a year, to be finally granted treatment that I can’t ordinarily have because of my postcode. You don’t see that it’s been over year since I was prescribed another treatment that I can’t have because of my address. You don’t see that I’m trying. I’m trying to get better. You don’t see that the day I got my Blue Badge, my disabled badge that lets me park in the holy grale of parking spots, I cried. No 34 year old wants to be the same as their Grandma. You don’t see my face or inside my head as I watch my Mum playing more energetically with my son than I have ever been able. Next time you see me, waiting to turn into that parking spot that you don’t think I deserve, give me a smile. Or if you can’t do that, go and tell someone that I’ve parked in the wrong spot. I’d be more than happy to show you my badge. I just might take a while to get back to you. I hate that people are SO quick to judge. I have an underactive thyroid and because of this I am quite big but I do more exercise than most people I know. I know damned well that people think I am lazy and just eat crap all day. I have learnt not to care what people think and just get on with my own life. Don’t let them grind you down. Oh Darling! What a strong and inspirational young Muma you are. My Mum has rheumatoid arthritis, and like you takes a host of drugs including the strong Methotrexate. I see the pain she is in and how it has changed her life, I can’t imagine going through what she does and having a small child in tow. You deserve to park a little nearer, crutch or no crutch! So many people suffer invisible illness, it’s such a shame those nosey judgemental car park goers cant be better educated about that. It those people that park in the Parent & toddler spaces WITHOUT a toddler that get on my wick!! You are so strong and amazing. My girls have invisible illnesses. It annoys me so much that people are so quick to judge. Sorry for your trouble, I understand all too well. If others don’t get it, tough, you shouldn’t feel guilty. I have rheumatoid arthritis, it only flared up in my mid 40s, I get by, but yes it can be a struggle. I know how odd it must look when on consecutive days, different joints ache, and to the onlooker my mobility seems to vary. Nonetheless I was quite amazed when someone asked when I’d be getting a blue badge. When they looked at me and said gently, “If these aren’t classified as ‘severe walking difficulties’, what are?” I felt gutted. When I was heavily pregnant or struggling with a pram, I had a glimmer of insight into how people regard fellow citizens who walk slowly or can’t negotiate steps or uneven ground. I remember thinking back then, thank goodness this is only temporary. Ha! Over time you do adapt, the unthinkable becomes standard. I guess we all draw a line in the sand and think, that’s my limit. So I understand why you bawled your eyes out and at the same time, you are making the best of things, cracking on with life. It makes total sense; you’ll be putting less strain on your body, taking less time to recover from a more arduous trip out. So, onwards and upwards. Thanks for sharing this. I can’t drive because of my disability but I get this on public transport. I have to ask people double my age to sit down on buses and trains yet get so much flack. I hate having to explain “Hey I can’t stand up so either I need a seat or I’ll fall on you which will hurt the both of us”. Silver lining – now I have a bump everyone wants to offer up a seat because they can “see” I need it. Ironically the pregnancy has massively improved my disability so I don’t actually need a seat so much any more but don’t struggle to get offered one. 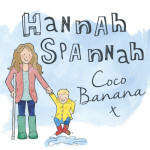 I hate the stigma and issues of an invisible disability especially when so young – some people are ok but I have been shouted at and called a liar before which is so horrible. It’s four years for me too, my youngest being four and the pregnancy and birth tipping it over into more than twinges and aches when I’d over done it. I’m also the same age almost. Dismissed by physios and GPs as it being pregnancy related weakness for over two years meant the damage was done, the pesky disc was trimmed but the nerves still cause pain in the pelvis, back muscles in spasm but painfully weak and if I over do it, the familiar aching version of sciatica returns all the way down to my toes, so I take cover under the duvet with the electric blanket to try to regain control. And I’m grateful not to be as bad as you sound. I had neck and shoulder pain from an injury before this but it stands no chance of winning the competition for my attention against the pelvic/back pain so is almost not there most of the time. I don’t stand a chance of getting a blue badge or any form of disability recognition – I can walk, I may be in constant pain most days or even start seizing up and slowing, I can even push myself pretty far and help with fundraising events,on my feet for hours, but I will pay for the week or four. I’m toying with the idea of taking a walking stick I have out more, see if people are more gentle we me on the school run, no expecting me to swerve, stop or twist as they are cause immediate pain. It may help get a seat on the bus or train as standing on public transport is agony. I’ve even looked at buying a badge for invisible disibilities – is that sensible or passive aggressive? But despite no qualification for a label life is severely restricted. I’m not sure I can work full time ever again, I spend every weekend in bed recovering from the week days of school runs and one or two office days volunteering. I can’t image a day out at a theme park or a city break without wondering about hiring a wheelchair just in case. And how would that look? What looks like a healthy, young (mid 30s) woman with two kids who can walk just fine initially. Sadly my husband isn’t totally buying into the amount of pain and immobility I suffer, and he certainly doesn’t believe I tried hard enough to get better. I’m going to do a residential pain course this year, I have to accept I’m not getting fixed, how do I accept this when my husband won’t believe it? Nevermind the no nothing strangers who may see me trying out a walking stick or who I (never actually) bravely ask if I can sit down when on a bus. Hannah you are a legend. You do more activities and days out with your son than most people I know, and you always put a brave face on and carry on. No 34 year old wants to be the same as their Grandma. <<<< I am 31 and this is my life from past 3 years. I wish I could hug you for writting all this. My illness is different but experience is same. I have been chased down in parking lots and being questioned (bloody immigrant abusing system). It just messes up your day and all your courage goes down the drain. I wish things were different … Well if we are wishing inrealistic things then I wish to be normal again. I hate those looks. ‘The why have you got a badge?’ looks, the ‘why are you sitting down?’, the ‘oh ffs walk faster!’ sighs from behind. … I have epilepsy. If the epilepsy wasn’t bad enough, the side effects from the cocktail of medication is absolute torture. And the worst of it is, that as a single mum, the guilt of putting the responsibility of becoming my carer on my 12 year old son kills me. But what can you do? ! Every day you wake up, is another day you get to make memories! You start to think it’s just yourself that goes through this daily battle, the staring, tutting, whispering, sometimes not even whispering…. Shouting, those are for disabled people! I don’t want to park in this space, I’m 27, 26 when I got issued the badge but I had lost my independence prior to being provided with one. 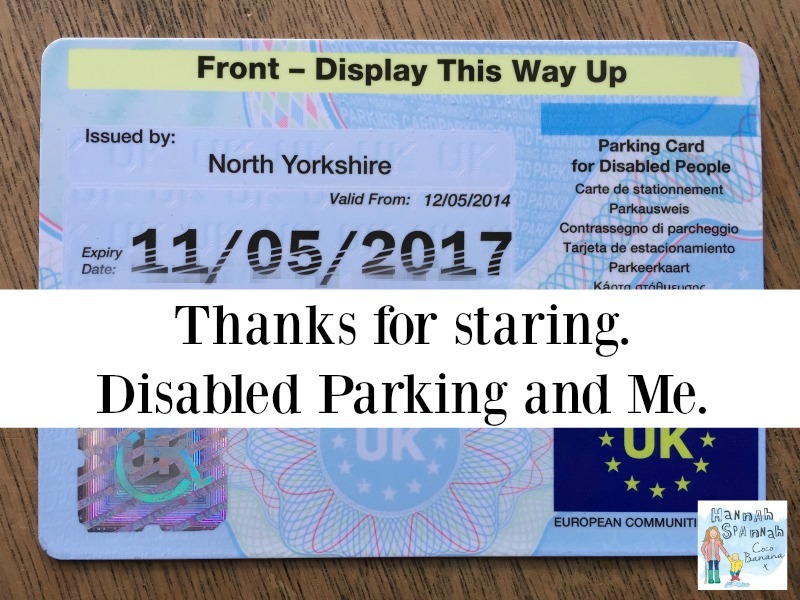 At first I was ashamed I had one, but then I became relieved that I could now feel less anxious about going out & not being able to park accessibly….. However it just wasn’t that easy! Just because I don’t have a wheelchair doesn’t mean my capabilities aren’t limited! I’m drugged up most days not even feeling myself, lost for words, foggy brained. Even then I am still in a constant pain battle with my lower and upper spine! I can no longer work as a nanny, my passion, my career! I am in the process of launching an on demand childcare platform, something I offered on a small scale to local parents but can no longer do, but even that has its challenges. I can’t do the activities normal 27 year olds do & I wouldn’t wish it upon anyone, not even if they think it’s such a perk to be able to park on the front row! Or get a flipping space in the Christmas heticness. I can tell you now, If I was able to walk long distances, be pain free, not have to struggle to stand, I’d give my badge back in a flash! But to make someone feel as if they are “scamming the system” because you cannot see why they are parked there is horrible! I cannot wish this upon anyone, at any age! Thank you again for sharing, it’s horrible but nice to see its not just me that has this daily battle.